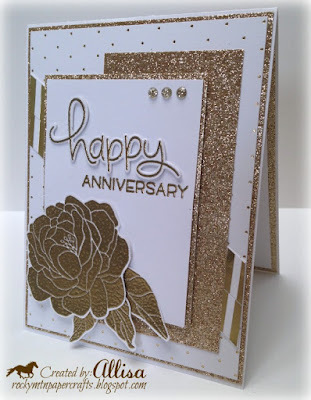 My card is created with the gold embossed papers and flower stamps from the Live Beautifully Campaign. 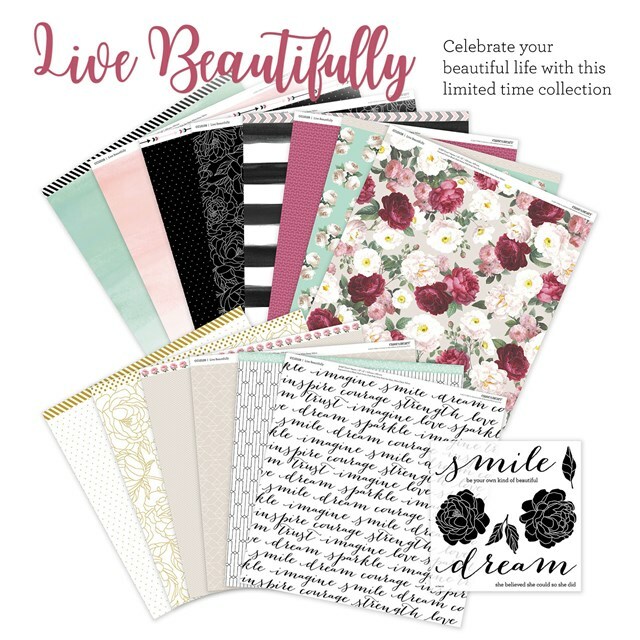 This collection is only available in the month of May or while supplies last....get yours before they are gone! Very elegant-looking card, beautiful job! 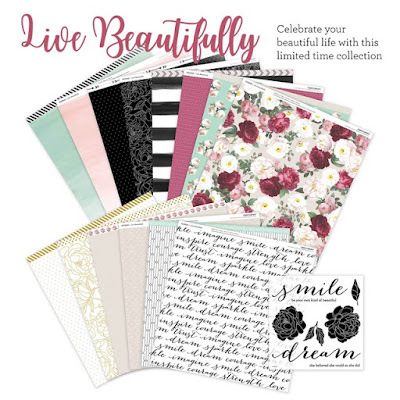 Thanks for playing along with the Daring Cardmakers this week! All that glitters on your card is very gold ;-). But it's a lovely combination with the white. 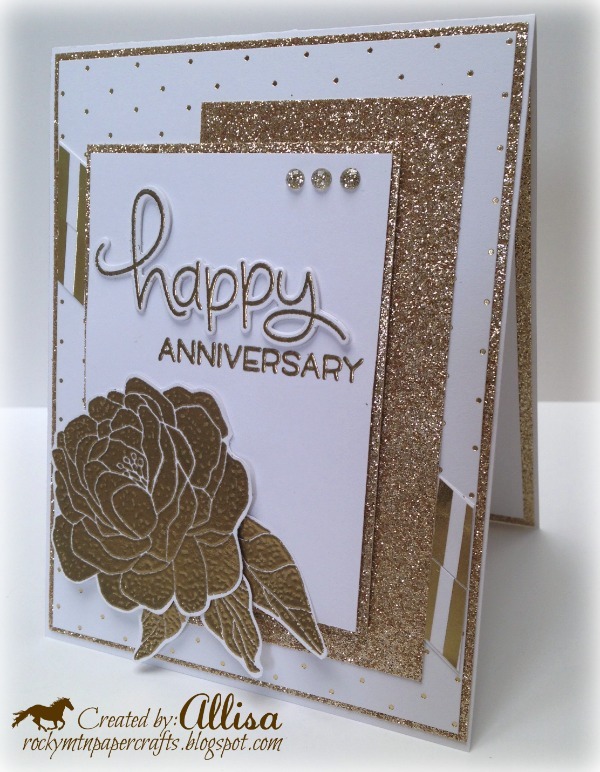 Thanks for sharing your elegant card with the Daring Cardmakers. Elegant. I love the embossed polka dots. Gorgeous and elegant. I spotted your card on Creative With Stamps, Donna #56.